There are no dead franchises anymore — there are just ones waiting to be revived. Most of the time, we treat this as an aspect of modern Hollywood to be reviled, or at least ridiculed: The Man From U.N.C.L.E. has about as much nostalgic appeal as fish in Jello. But there’s another side to this, because two of the best films of 2015 have been new entries in old sagas. First, Mad Max delivered one of the most thrillingly original action movies in recent memory by returning to a trilogy that had been dormant for thirty years. And now, Creed, the seventh entry in the Rocky series, is poised to become a hit over the long Thanksgiving weekend and maybe even break into the Oscar race. Creed tells the story of Adonis Creed, played by Michael B. Jordan, the son of the original Apollo Creed and a fighter aspiring to reach the heights of his dad. Creed turns to Rocky Balboa, now an aging restaurateur with little interest in the fight game, and asks him to be his trainer, and the two men push each other through a number of trials toward, as you might imagine, an ultimate battle in the ring. The idea is clever enough: tap back into a calcified story by taking on a radically new perspective. But that isn’t why Creed is terrific. As he first demonstrated with Fruitvale Station, writer-director Ryan Coogler’s touch is impeccable: he shows a vivid comprehension of Creed’s struggle with his masculinity, and his depictions of contemporary culture — a pitch-perfect rapper backstage at a neo-R&B artist’s show; Creed and his love interest’s naturalistic dialogue; even Jordan’s wardrobe, which is spot-on high-end athletic wear — create an incredibly convincing portrait of a fighter on the come-up. And Coogler applies his gifts at storytelling across the board: Rocky’s struggles in the film are far more poignant and authentic than they have any right to be, considering the six Rocky movies already in the rearview. Had Creed been the dutiful, dull dud that most people were expecting, it might have brought out the faithful, but that would’ve been it — a generation of young people aren’t dying for more from Sylvester Stallone, who turns 70 in July. Instead, Creed looks like a hit. On Wednesday, its first day in wide release, Creed took in $6 million, putting it a strong third to The Hunger Games: Mockingjay, Part 2 and Pixar’s The Good Dinosaur. Deadline is reporting industry projections at $39-42 millionover the five-day frame, which would recoup production costs, and Box Office Mojo is allowing for the possibility of a take as high as $50 millionby the end of Sunday. With an A Cinemascore and a 92% rating on Rotten Tomatoes, Creed has the word of mouth necessary to make a non-blockbuster successful in the current Hollywood landscape. With that goodwill could come larger accolades: my colleague Kyle Buchanan thinks it could break into the Best Picture race and snag an Oscar for Stallone, and I’m inclined to agree, particularly if it makes a bunch of money. Both Creed and Mad Max should be instructive to studios: if you are planning to resurrect a franchise, that new entry should be able to stand on its own. Max Max essentially has no exposition, and Coogler’s deftCreed script, written with Aaron Covington, covers what you need to know about Creed and Rocky’s past in the minimum amount of time necessary. But even more important is the filmmaker, serving as a welcome corrective to the Marvel Cinematic Universe’s uniformity of vision across its properties. George Miller was given the resources he needed to revisit his own world, and he delivered. 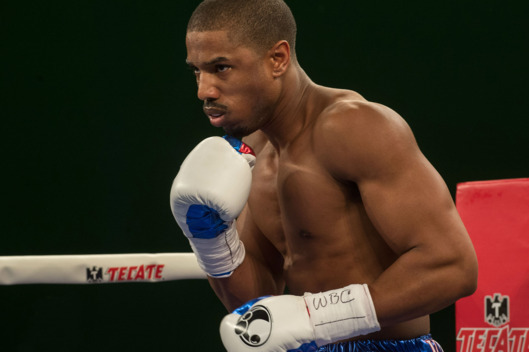 With Creed, Coogler proves that he’s as talented a young director as Hollywood has right now. New Mad Max andRocky movies, as we knew them, would mean little in 2015. These newMad Max and Rocky movies, though, serve as an essential roadmap. Audiences are following it. Let’s hope Hollywood, does, too. For more about Creed, as well as a look at Leonardo DiCaprio’s performance in The Revenant, The Danish Girl, and the Independent Spirit Award nominations, listen to Vulture and The Frame‘s “The Awards Show Show” podcast below—and be sure to subscribe to stay on top of this year’s awards conversation. Got the drop on Vulture . . .